I first met Petra Breakstone at the Grand Opening of West 7th Wool in Fort Worth. 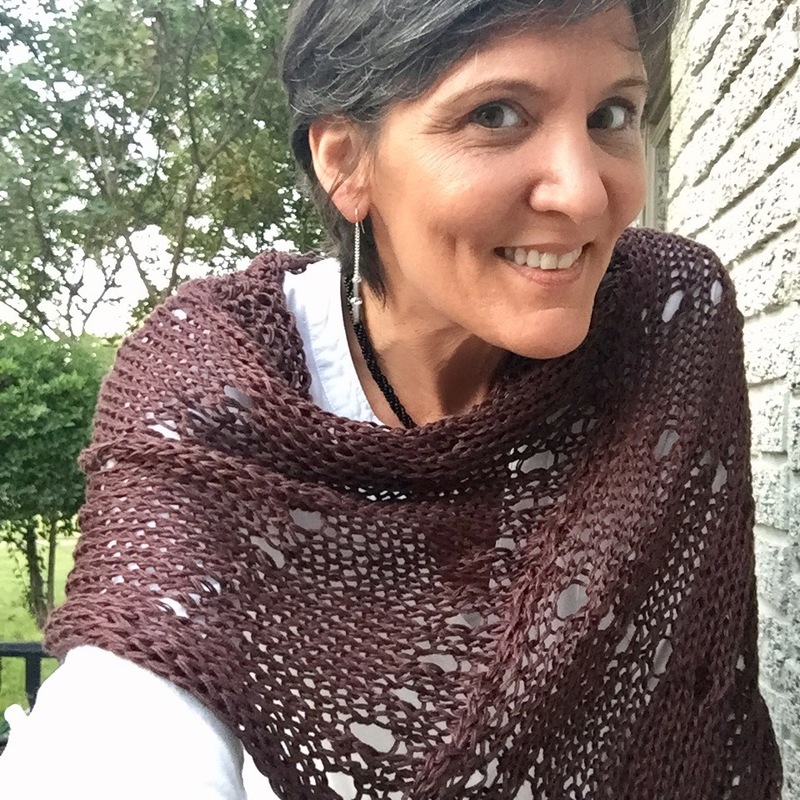 I liked her immediately – she had with her a trunk full of finished knitting patterns which I found creative, modern, flattering, fun — and I wanted to knit them all! After completing the Muse Shrug, I decided to purchase the Aveline pattern and give it a go. I used 6 skeins of the super cool linen/viscose blend yarn from Yarnz2Go.com and tripled the yarn using size 10mm needles. I purchased 6 skeins. After I had finished the pattern and sewed the ends together I decided to add a neckline border. 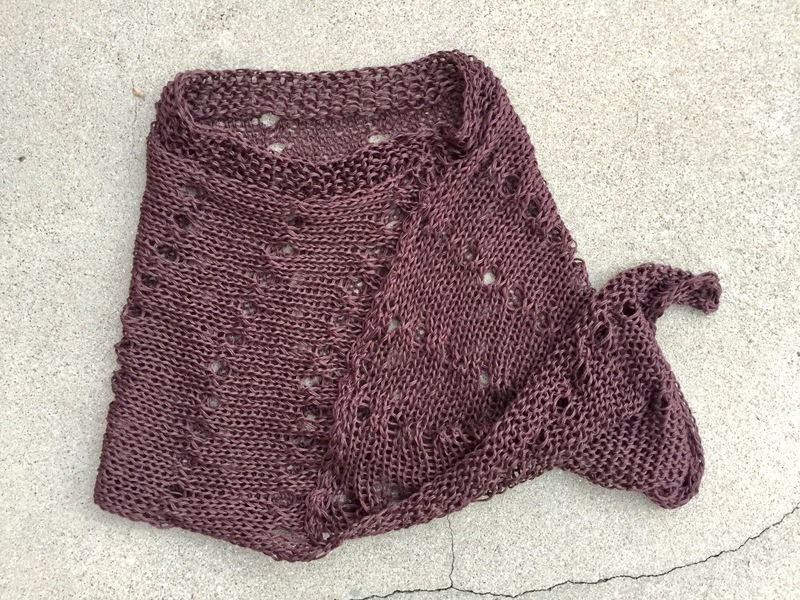 This wasn’t in the original pattern, but something I felt might hold the weight of the Aveline Poncho together and give it a more “finished” look. So I simply picked up the stitches and did several rows of garter stitch, until I was happy with the result. Here are a few selfies of me modeling my finished work. Pattern was easy to do! 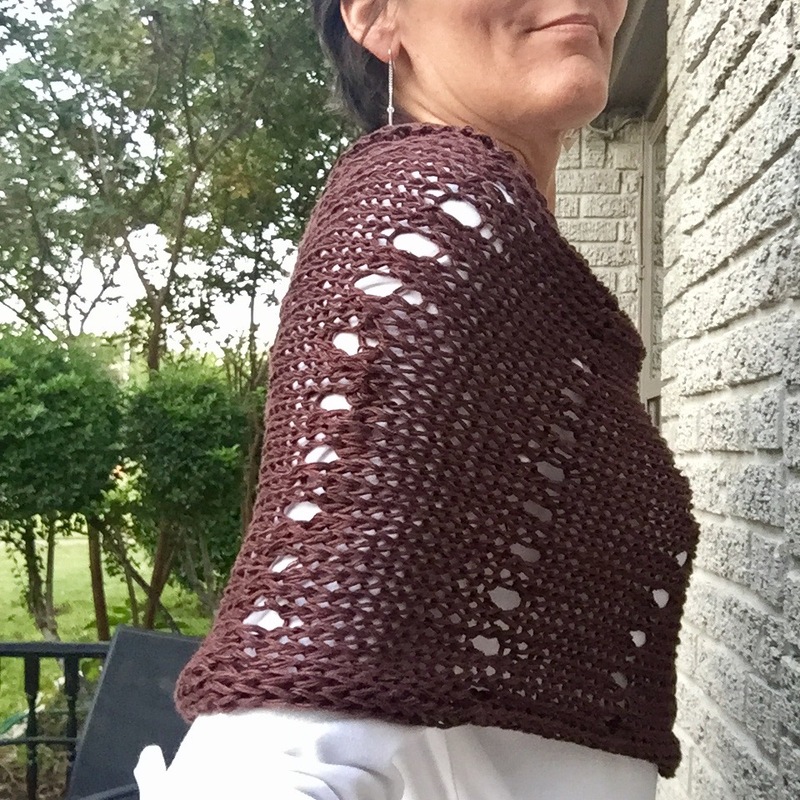 I’m so pleased with how my Aveline Poncho turned out. 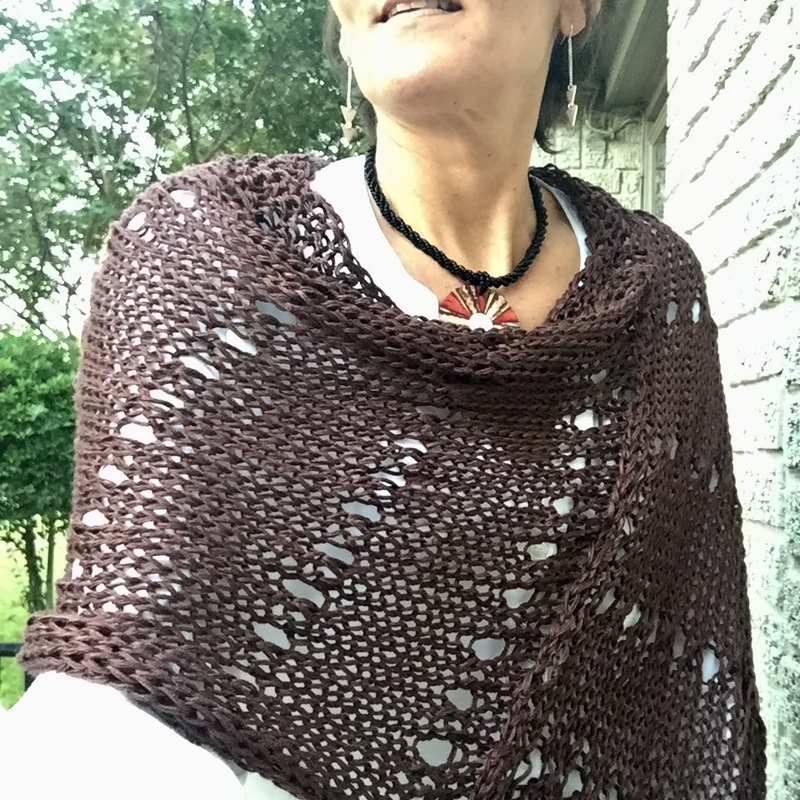 And like many of Petra’s patterns you can wear it different ways, as a cowl, as a poncho, with the long end in front, to the side, etc… Love love love it. You’ll find my friend Petra on Ravelry – http://www.ravelry.com/designers/petra-breakstone and and me too http://www.ravelry.com/people/marniann! Thanks for reading and happy knitting! say 20 stiches to 4 inches on a five. I usually knit right to gauge with the correct yarn which I am using.